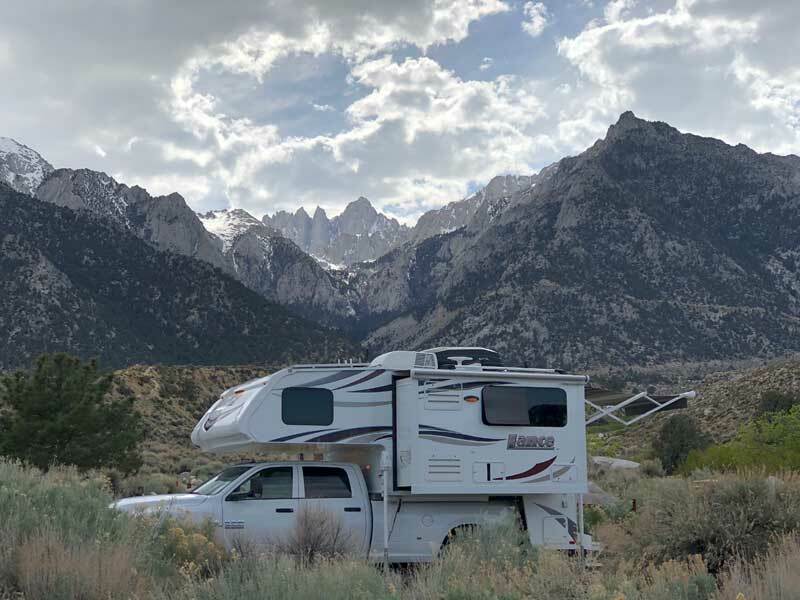 For Behind the Shot Part 2, we are featuring photos and stories from Alabama Hills in California, Assateague Island in Maryland, Ruby Mountains in Nevada, and many more! 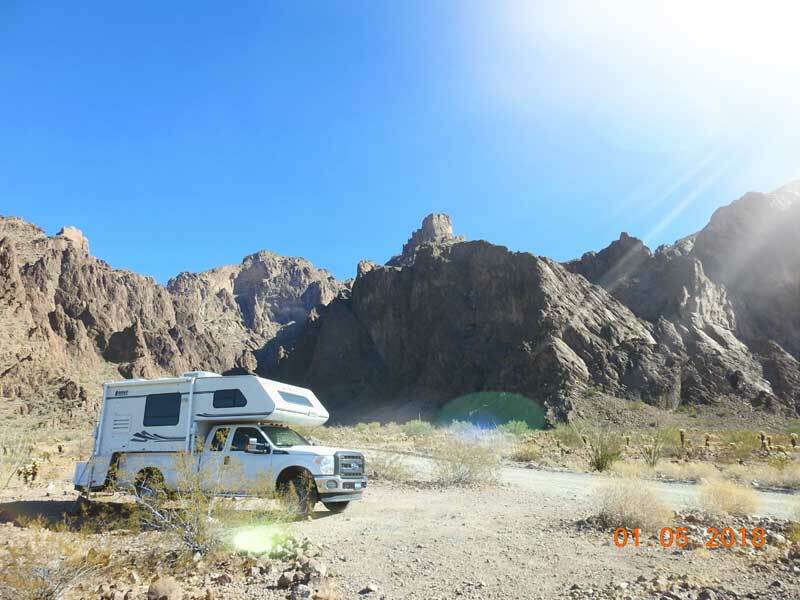 This picture was taken as we boondock camped at Lone Pine, California in April of 2018. The surrounding formations are known as Alabama Hills. This is my first summer with my camper and my dream is to go to all of the Major League Baseball stadiums. I am doing as many as I can, but for my 60th birthday (2024) I will travel to all of them in one summer. PNC Park is the home of the Pirates. 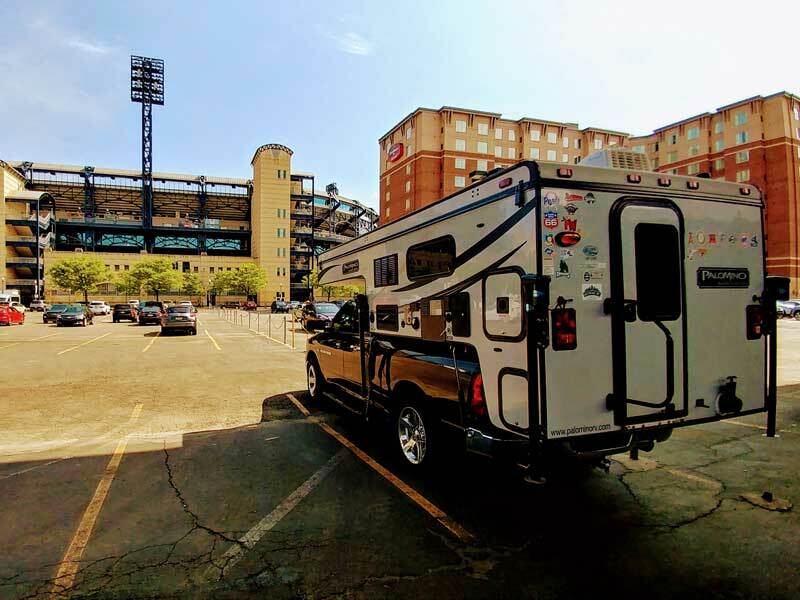 This was my second major league stadium in the camper. Parking at most stadiums can be tough as most are in downtown areas. I got lucky with this parking space right across from the stadium. They were not going to let me park here because of being oversized, but the supervisor for the lot came and decided to let me stay. He used to camp with his dad in a truck camper and said he did not have the heart to turn me away. I gave him a tour of my camper and ended up making a new friend. Truck campers bring people together. 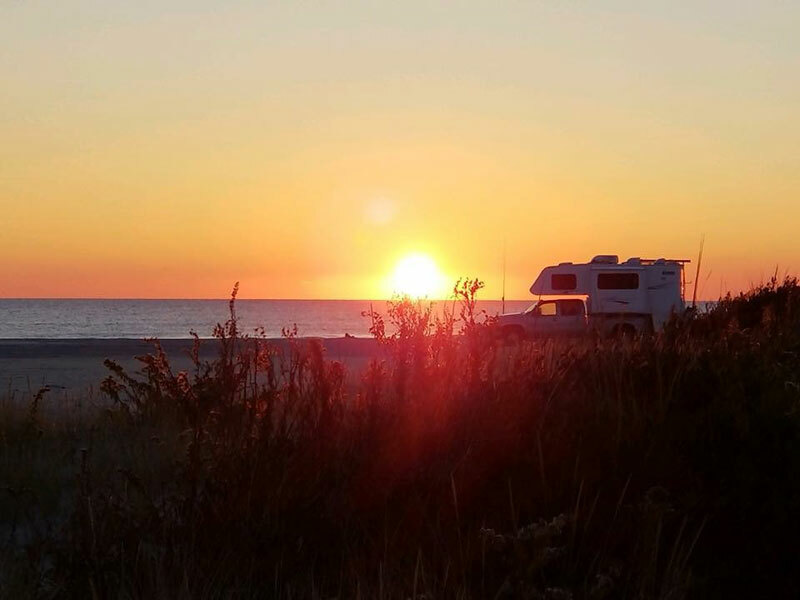 We have a truck camper because we love to go out onto the OSV (Over Sand Vehicle) Zone at Assateague Island National Seashore in Maryland. We love that we can really disconnect and escape the day-to-day work and life stresses. It allows us to just be with nature and appreciate the beauty of the world around us. Plus a little surf fishing helps, too. This photo was taken while we were out there over Thanksgiving break, 2017. I was headed back to Idaho after ten days in the Utah Canyon Country with my dog, DJ Raphi. He needed a break. It seemed like a beautiful spot to take a short walk. 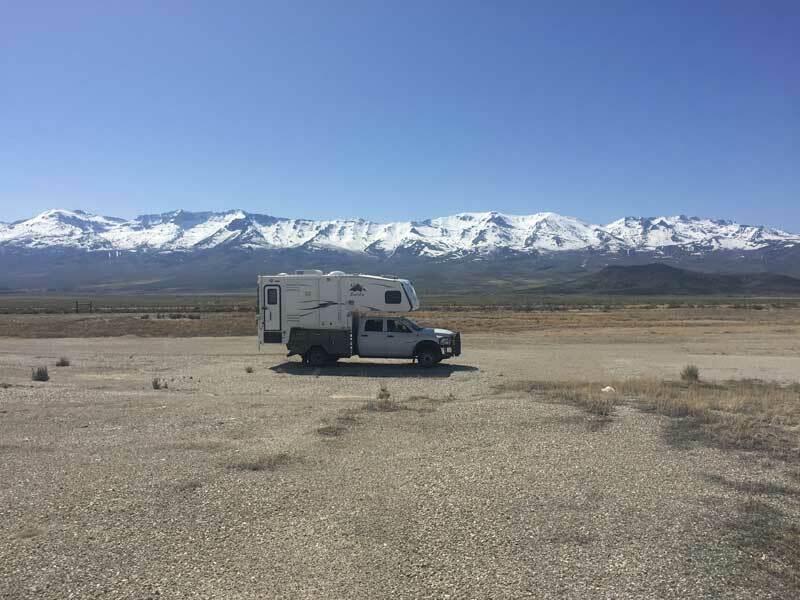 The Ruby Mountains are one of the least known, but most impressive ranges in The West. I go vintage car racing at Buttonwillow Raceway Park. It was our first trip in our new Arctic Fox 811.